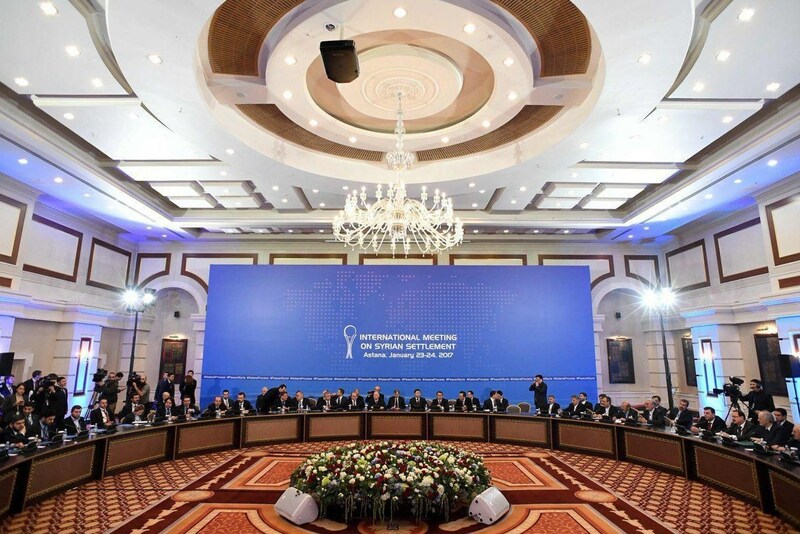 Amid Iranian and Turkish presidents’ consultations with regional powers, Kazakh Foreign Ministry confirmed that the beginning of the second round of talks on the settlement of Syrian crisis in Astana has been postponed until February 16. According to local media in Kazakhstan, delegations from Russia, Iran, Syrian government, and UN officials have already arrived in Astana. Delegations of the armed opposition and Turkey had not arrived in Kazakhstan’s capital yet. However, Kazakh Foreign Ministry announced the talks have been postponed to Thursday, February 16. The first round of Astana talks on Syrian crisis settlement held on January 23-24 in Astana affirmed in its final statement the sovereignty and territorial integrity of Syria. The delay in the beginning of the new round of Astana talks seems to be related to Turkish President Recep Tayyip Erdogan’s tour of Persian Gulf littoral states – Saudi Arabia, Bahrain, and Qatar – and Iranian President Hassan Rouhani’s ongoing trips to Oman and Kuwait. It is not diplomatically unlikely that the negotiators in Astana meeting have an eye on the results of ongoing consultations between regional leaders on Wednesday.